Sandy beaches, blue-sky waters, and palm tree-lined shores, amazing volcanoes, and glorious sunsets are some of the things that probably come to mind when you think of Hawaii. But a beautiful natural environment is not all there is to enjoy in this earth-bound paradise, as this group of islands is also home to people with a rich and diverse culture. The culture and tradition of Hawaii are actually reflections of the land's innate beauty. The graceful Hawaiian dances, the meaningful and religious songs, and the various interesting art forms seem to be created with only one purpose, and that is to serve as instruments through which the beauty and the mystery of the place is expressed. The following are just some of the traditions and cultural practices that make Hawaii unique. The traditional dance of Hawaii are as vibrant as the rolling waves in its beaches. The moves are actually expressions of what Hawaii is, a land of beauty, grace, and spirituality. According to some, the hula represents the spirit of Hawaii through graceful movements and captivating music. The hula is a local dance deeply rooted to the religion of the natives here. Hawaiians actually believe that the first hula was performed by a god or goddess. Because of this, the dance is considered more as a sacred ritual than as a form of entertainment. But through time, the hula became a part of celebrations and not just a spiritual performance or a form of worship. The hula is actually about representations. The movements of the hands and the body of the performer have specific meanings. These may either represent animals, plants, and even war. The music used for this dance is the "mele," which is composed of hypnotic chants. This is sometimes accompanied by musical instruments such as the ukulele and other instruments made of natural materials. 1. Hula Kahiko -- The hula has many styles, and one of these is the Hula Kahiko. This is called the ancient hula, as this evolved before the ancient Hawaiians' encounter with the Western culture. This is a dance accompanied by chants. In the early times, the focus of the Hula Kahiko is the chant, but as time goes by and more people understood the native language less, much of the emphasis is given on the movements of the hula dancers. 2. Hula Auana -- Another style is the Hula Auana, or the modern hula. This dance was developed in the 19th century under the Western influence. The costumes for the performers included the anklets made from dog's teeth or whale bone called kupea, a skirt or pau made out of tapa, and the lei or the garland for the shoulders and head. The music of Hawaii is a reflection of what Hawaii is -- a melting pot of different cultures. Modern Hawaiian songs are actually a hodgepodge of ancient and modern influences. Hawaiian songs are just another art form through which the people of Hawaii worship nature. The lyrics of the local songs are generally about the places of Hawaii and other things related to the Hawaiian way of living. The early music of Hawaii is religious in nature. Basically, it is composed of chants accompanied by musical instruments. Because Hawaii lacks metals and minerals except lava, people made use of the bountiful materials around them. This is why the early musical instruments of the Hawaiians were mostly made from plants, shells, and trees. Among the popular instruments in the early times were drums made out of gourd, sticks that were struck together, and conch shells, which were played just like trumpets. Some Hawaiian songs today are played using these instruments. One of the most popular musical instruments in Hawaiian music is the ukulele. As such, modern Hawaiian songs are usually sung with a ukulele. The impact of Hawaiian music on the Polynesian islands as a whole is what makes it truly unique. To celebrate its music, Hawaii holds various music festivals. These include the Big Island Slack Key Guitar Festival, Moloka'i Music Festival, and the Hawaii International Jazz Festival. The rich culture and tradition of the Hawaiians are also expressed in their artworks. Most of the artworks of the ancient Hawaiians are created both for aesthetic and functional purposes. The kapa, for instance is an example of the Hawaiians' distinguished craft. This is a fine material produced from the paper mulberry plant. The finished product is used as swaddles for babies and also fashioned to be worn as a skirt by the natives. Kapa is also used to make attractive blankets. Other locally produced artworks are made from Lauhala or hala leaves. The finished products of Lauhala include bowls, hats, and floor mats. The beauty of Hawaii is also an inspiration to a lot of artists. Many Hawaiian painters exhibit the breathtaking beauty of their native land through the canvas. Many of the popular paintings in Hawaii have sandy beaches, crystal blue waters, and majestic volcanoes as subjects. The Hawaiians' love for their art, tradition, and culture can be seen in various festivals celebrated for the introduction and cultivation of Hawaiian art and culture. One of these famous celebrations is the Merrie Monarch Hula Festival. This festival is a week-long celebration. The event involves art exhibits, craft fairs, performances, demonstrations, parades showing off the rich culture of Hawaii, and the Hula competition, which lasts for days. Hawaiians really take time to prepare for this annual festival. Hula instructors and studios, for instance, hold classes and demonstrations to teach the hula, the significance of the chants and the dance movements, as well as the history of the Hawaiian people in general. Another popular event is the Aloha Festival. Over the years, it has developed to be a two-month long festival celebrated in the islands of Hawaii -- Kauai, Oahu, Maui, Molokai, Lanai, and the Big Island. This festival is one of the largest and oldest Hawaiian celebrations. This festival started as Aloha Week in the 1940s, a week-long celebration of music, dance, and tradition of Hawaii. There is also an event in May celebrating the lei, or the Lei Day. This celebration started on May 1, 1928. During the festivity, everyone is encouraged to wear a lei. Lei-making demonstrations, exhibits, and lei-making contests are among the highlights of this event. Just like any other Hawaiian festival, Lei Day is not complete without the hula. Established during the 1800s, the Kamehameha Festival is also a famous local celebration. This event is part of the Kamehameha Day celebration, which is a national holiday. This festival was established as a commemoration of Hawaii's unifier and first king, Kamehameha. The event includes Hawaiian chant competitions, food and cultural presentations, and craft-making sessions. 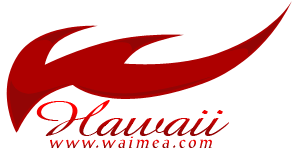 To further enjoy Hawaiian dances, songs, festivals, and artworks, visit the following museums, cultural centers, historical buildings, and art galleries. Bishop Museum -- Hawaii is home to various museums where you can take a glimpse of the colorful past of the islands. One of the most famous museums is the Bishop Museum, which was established in 1898 by the widow of Princess Bernice Pauahi Bishop, who was actually the last descendant of the Kamehameha family. Another popular museum is the Hawaii Mission Houses Museum. If you are really interested in learning about the history of Hawaii, you should not miss this place. The protestant missionaries had a huge impact on the history of Hawaii, and this museum will help you understand the impact of the missionaries in the course of Hawaii's history. This museum houses a printing press, exhibits, a library, and an archive. Bailey House Museum -- The Bailey House Museum of Hawaii, located in Maui, is also an interesting establishment to see. It is actually a museum and at the same time a gallery that houses the masterpieces of Edward Bailey, artifacts from the missionary period, and artifacts from the ancient settlers of the land. Polynesian Cultural Center -- Another well-known tourist spot in Hawaii is the Polynesian Cultural Center. The cultural center contains a lot of things that you need to know about the culture of Hawaii, from the hula to many forms of art, and from Hawaii's ancient history up to the present day. To preserve the valuable Hawaiian history and culture, local officials mandated a law regarding the acquisition and preservation of artworks. Because of this, it is not so surprising to see a lot of artworks in state buildings and modern public schools. Some of the historical buildings you should visit are the Hulihe'e Palace, Queen Emma Summer Palace, and the Iolani Palace. Aside from the museums, you will also discover more of Hawaii through its art galleries. One of its popular landmarks is the Gallery at Ward Centre in Honolulu. This retail gallery was founded in 1988. It houses the artworks of contemporary artists working with different materials such as ceramics, glass, jewelry, and wood. Hawaii Craftsmen is also a popular art gallery that exhibit diverse artworks. Various masterpieces of artists who work with clay, glass, metal, fiber, and wood can be found here. This gallery houses both traditional and contemporary artworks. Many will say that one of the Native Hawaiian's most remarkable achievements would have to be the Hawaiian canoe, renowned for its fine craftsmanship and design based on the Native Hawaiian's vast knowledge of the sea. Without the canoe, the Hawaii we love and know today would not be the same. The canoe was an immensely valued possession, as it was the only means of transportation to voyage to other lands, to run errands, and to fish the open ocean. For kings and chiefs, canoe building was also a means of displaying the strength of the islands' armies. The early Native Hawaiian people relied heavily on agriculture and fishing, which helped to ensure an adequate supply of food and plants for sustenance. These skilled early Hawaiian farmers were very familiar with both wet land and dry land farming, as well as how to build irrigation ditches. Captain James Cook was said to have been impressed with the extensive knowledge the Native Hawaiians had on cultivation.